Ever wonder what it would be like to catch a leprechaun? “My Little Leprechaun” is the story of a leprechaun, full of mischief, who comes to visit a little boy, bringing along the magic and mystery of a St. Patrick’s Day adventure. “My little leprechaun was dressed smartly, wearing a suit with a waist coat, hat and buckled shoes…” the story goes. Along the way, the Little Leprechaun stirs up fun with dreams of his pot of gold, leaves behind green messes, and invites his wee friends to join in the fun. “My little leprechaun asked if he could play a jig on his fiddle. Of course, I gladly agreed,” the boy tells young readers as they come along on the adventure. This illustrated children’s book is written by mother and son, Christa Johnson and Levi Johnson. Based on their own Johnson family story, Levi (age 7) tells the story of a boy and his mischievous little leprechaun from the time of the leprechaun’s capture to his release. But the ending of the book creates the most intrigue, as it becomes clear that the leprechaun will visit the boy every year on St. Patrick’s day to dishevel his home and leave a note with a coin. 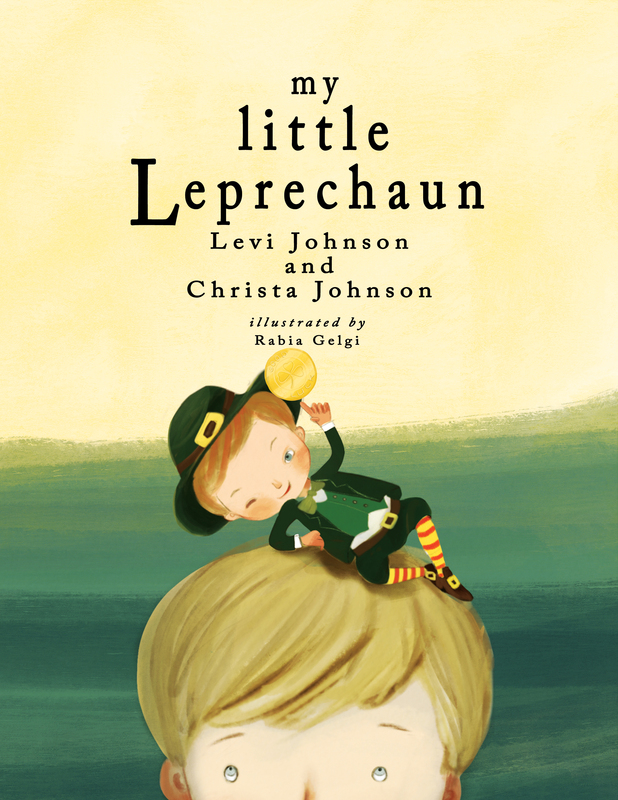 The story of the “My Little Leprechaun” is based on the St. Patrick’s Day tradition of Christa, Levi and the Johnson family. The joy for the holiday has increased over the years greatly due to Levi’s belief that he himself was in fact a leprechaun. Levi would create a leprechaun trap, to catch his “friends”, out of a shoe box and even believed that he could turn peoples urine green (because after all he was a genuine leprechaun). The morning of St. Patrick’s Day the house would be a bit disheveled and best of all, the little leprechaun would leave a note and coins for Levi and his brothers. The overarching goal and hope for this book is that it will inspire other kids to believe that they too can write a book! To use their passion (whether it be about leprechauns or dancing) and turn their dream into a reality! It is possible and other kids can do it too!!! There is a Spanish version of the book that has been translated by Levi’s 10 year old brother, Roman Johnson. Levi Johnson is a 7 year old boy who is incredibly creative! His imagination was the inspiration for this book, as he once believed he was a leprechaun himself. A trip to Ireland, a good chase of the little leprechauns, and a dose of Irish luck has produced this beautiful book. Levi also enjoys writing stories, singing songs, playing basketball and most of all wrestling with his brothers. 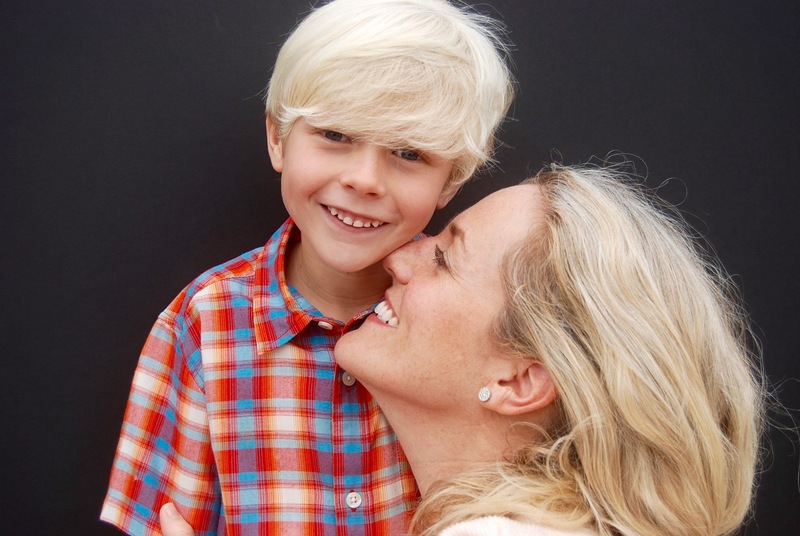 Christa Johnson is the proud mother of 3 boys who enjoys growing their imaginations. In her spare time she wipes noses, drives carpool, and volunteers at her boys school. Professionally, she is a Licensed Marriage and Family Therapist who loves to instill belief that anything is possible. Thank you for reading this book and keeping the dream alive! Click here to visit My Little Leprechaun’s website. Click here to find My Little Leprechaun book at Amazon. Click here to Like My Little Leprechaun on Facebook. 10% of proceeds goes to Give Kids A Smile, which is a non-profit that gives under privileged children free dentistry. Because what is better than a beautiful smile on a child’s face! Click here to get My Little Leprechaun on Amazon. WIN: 24/7 Moms and My Little Leprechaun are giving away a My Little Leprechaun book. US entries only and one entry per person. Winner will be chosen on March 11, 2017. Disclaimer: I have teamed up with My Little Leprechaun in support of this campaign. We received compensation for participation in this campaign. However, all thoughts and opinions are my own.